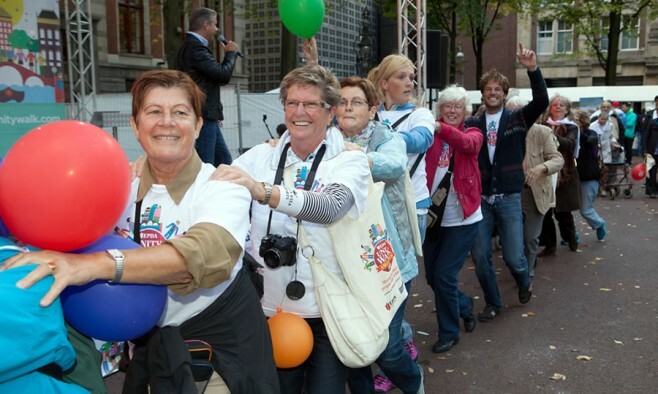 The European Parkinson’s Disease Association (EPDA) is looking for 100 people to take part in a new fundraising initiative, the Parkinson’s 100 Challenge. The aim is to raise €50,000 in 2015 to help support the 1.2 million people across Europe living with Parkinson’s. The voluntary organisation is encouraging anyone affected by the disease to recruit volunteers among their friends, family and colleagues, and encourage them to complete a challenge of their choice before the end of the year. From running to skydiving, cycling to swimming, and even hula-hooping; there are numerous ways to take part in the challenge. Getting involved is easy. All you have to do is decide what challenge you’d like to beat and sign up online. Once registered, you’ll have access to a toolkit with everything you need to get started. Lizzie Graham, director of fundraising and global communications at the EPDA, will be getting her skates on for the first time in 57 years, while other ‘challengers’ have signed up to duathlons and similar feats of skill and endurance.